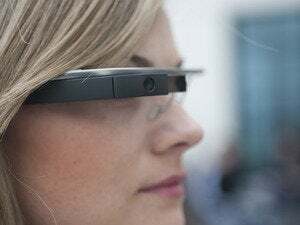 Google Glass is becoming less exclusive as it heads into 2014, with at least some Google Play Music All Access subscribers able to get in on the action. Subscribers to Google's streaming music service are receiving invitations to purchase the high-tech specs for $1500 as part of the Glass Explorer program. Google began sending e-mails to All Access subscribers this morning, according to AndroidCentral . Google Play Music All Access, an on-demand streaming music service similar to Spotify and Rdio, costs $10 per month. It's unclear how many All Access subscribers will be able to purchase Google Glass. The e-mail is titled “Your Chance to Buy Google Glass,” and it prompts users to sign up for an invitation. But at least one PCWorld editor is an early subscriber and he has not received one. Google has been steadily expanding the Glass Explorer program, in which potential owners must apply to purchase the $1500 prototype. The first units went out in April, but only for pickup in New York, Los Angeles and San Francisco. Google has occasionally allowed Glass owners to invite a few friends to the Explorer program, and Google is now accepting applications from all U.S. residents. “We’re expanding The Explorer Program little by little, and experimenting with different ways of bringing new Explorers into the program,” Google's sign-up page says. Google hasn't said when it will end the Explorer program and launch a finished version of Google Glass. Perhaps we'll see a Google Now smartwatch come to fruition first.